After the exciting games of the second conference, we’re now few days away for the 2018 PBA Governors’ Cup. The office of PBA has announced its game schedule via their official twitter account. The third conference will be commenced by the Columbian Dyip and Meralco Bolts then later by the NLEX Road Warriors and the Talk ‘N Text KaTropa Texters in a double header showdown. For the first time we will see Calvin Abueva in his new uniform with the Phoenix Petroleum Fuel Masters after he was traded by the Alaska Aces to Karl Dehesa and a draft pick. Last conference, Kia changed its moniker to Columbian Dyip (previously Kia Picanto). This third conference, it was Globalport turn to change its name in the PBA. They’re now called as the North Port Batang Pier. As it was revealed early this season, Justin Browlee will return as an import of Barangay Ginebra San Miguel. Allen Durham of the Meralco Bolts is also set to return and the question is, can he now defeat Ginebra and Brownlee? The 2018 PBA Commissioner’s Cup Finals rematch will take place on September 23, 2018 as the Gin Kings and the Beermen are scheduled on Sunday’s main event in the Smart Araneta Coliseum. Then on October 28, 2018, it’ll be the most anticipated match of the tourney, the Manila Classico. The Gin Kings and the Hotshots are set to play in the Big Dome. Will Ginebra continue its winning streak or Magnolia can finally pull one this time around? 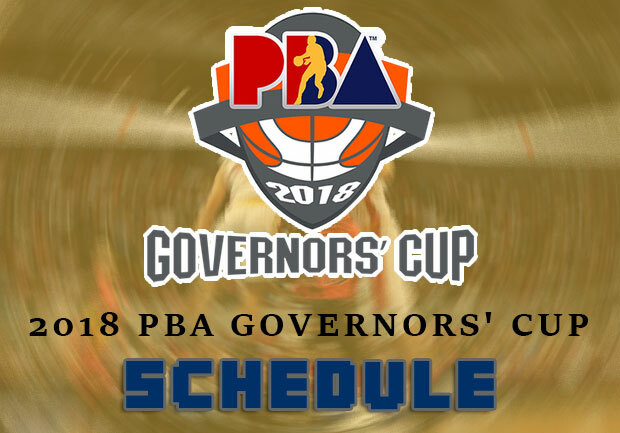 Here is the full 2018 PBA Governors’ Cup – Elimination Round schedule tweeted via @pbaconnect.